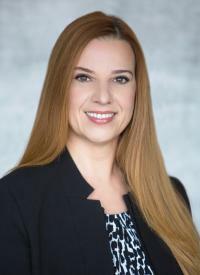 Governor Brown announced on November 21st that Justice Ioana Petrou has been appointed associate justice, Division Three of the First District Court of Appeal. Justice Petrou has served as a judge at the Alameda County Superior Court since 2010. She served as an Assistant U.S. Attorney at the U.S. Attorney’s Office, Northern District of California from 2004 to 2010 and was counsel at O’Melveny and Myers LLP from 2002 to 2004. Justice Petrou served as an Assistant U.S. Attorney at the U.S. Attorney’s Office, Eastern District of New York from 2000 to 2002. She was an associate at Foley and Lardner LLP from 1996 to 1999, at Weissburg and Aronson from 1995 to 1996 and at Proskauer Rose LLP from 1994 to 1995. Justice Petrou served as a judicial extern for the Honorable Sheila Prell Sonenshine at the Fourth District Court of Appeal in 1992. She earned a Juris Doctor degree from the University of California, Berkeley School of Law and two Bachelor of Arts degrees from the University of California, Berkeley. Justice Petrou will fill the vacancy created by the elevation, subject to confirmation, of Justice Stuart R. Pollak to presiding justice, Division 4 of the First District Court of Appeal.